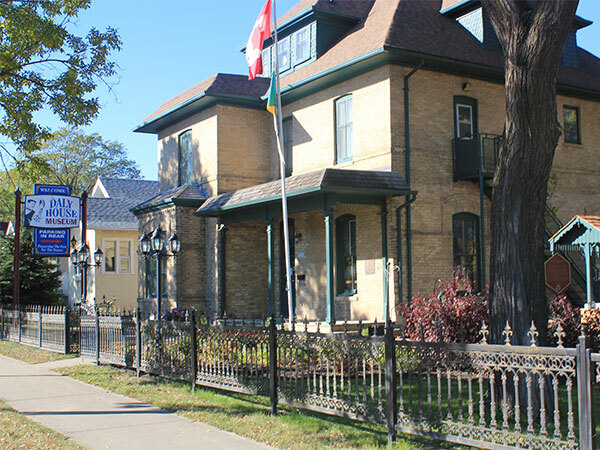 This grand brick home, one of the oldest structures in Brandon, was designed by Winnipeg architect Edward McCoskrie and built in 1882 for Thomas Mayne Daly. When Daly moved to British Columbia in 1896, he sold it to his law partner, George R. Coldwell. The house later served as a children’s shelter then, in 1976, it was taken over by a non-profit organization which renovated and reopened it two years later as a museum. 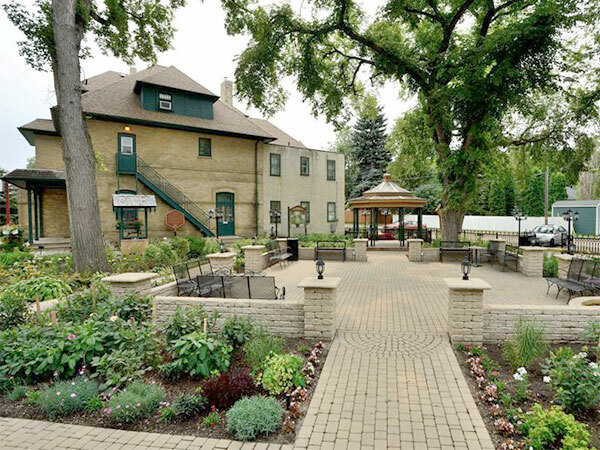 On the grounds of the museum is a plaque commemorating Daly, erected by the Historic Sites Advisory Board of Manitoba. We thank Eileen Trott for providing additional information used here.